From the President: You are welcome here! 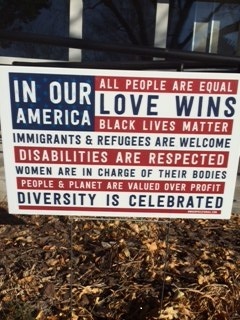 The photo below is of a sign in front of NWC's Intercultural House that communicates not only are international students welcome here, all people regardless of national origin, race, sexual orientation, and ability are welcome. The repetition of the statement, “You are welcome here,” is powerful and demonstrates that we celebrate internationalization and diversity across our campus communities and across the country.